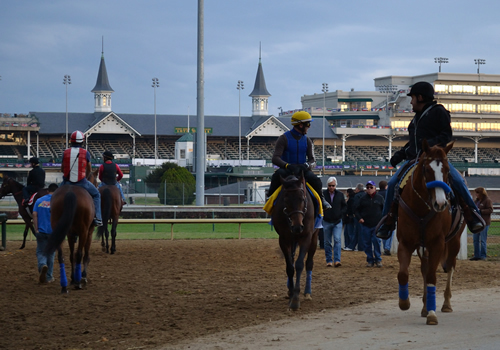 Gio Ponti takes in the early morning track activity. 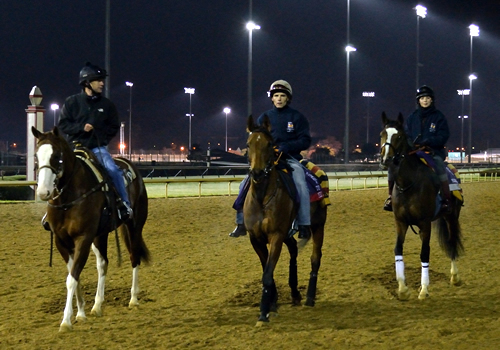 Midday (center) and company return from galloping. 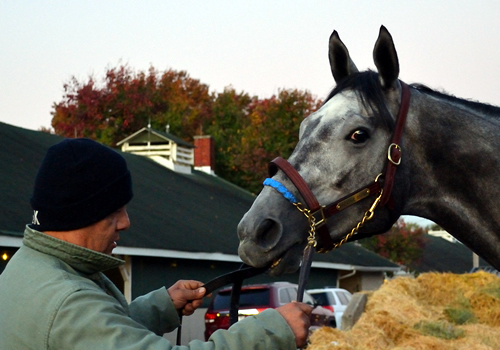 Turallure pauses at the top of the chute. 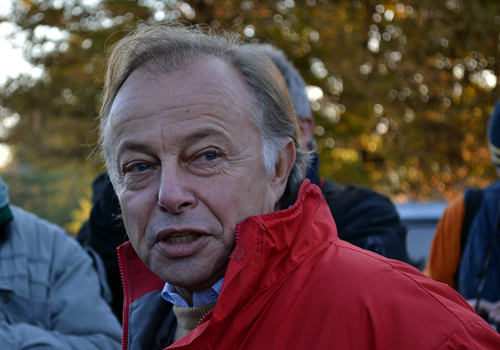 Goldikova heads to the track. Goldikova kicks up her feet a little. Harmonious is at right. 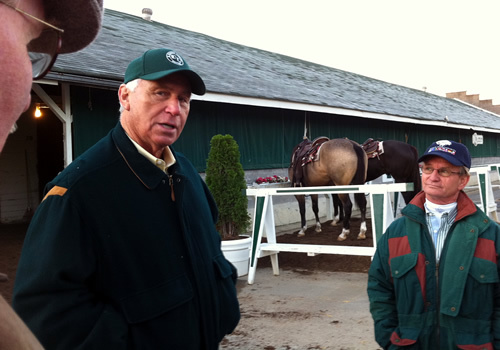 Trainer D. Wayne Lukas, outside his barn with retired Hall of Fame jockey Pat Day, reminisces about Breeders’ Cup races past. Breeders’ Cup Juvenile contender Creative Cause plays around during his bath. 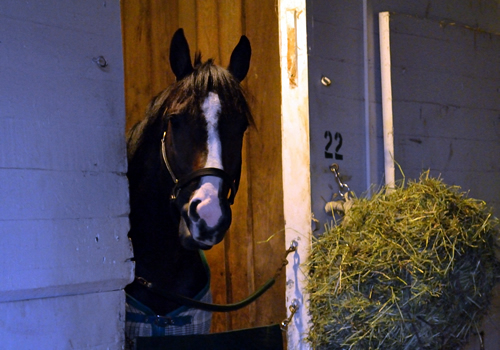 Flat Out in his stall. He looks sweet, doesn’t he? As though he’d like you to come over and give him a pat. I would have, but was warned off — apparently he’s a biter. Even trainer Scooter Dickey gets nipped by the big horse. “Go Scooter! 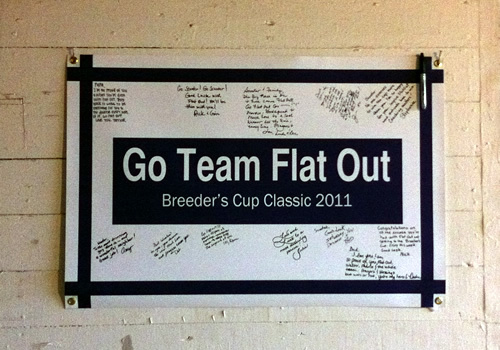 Go Scooter!” Well wishes for the Breeders’ Cup Classic. 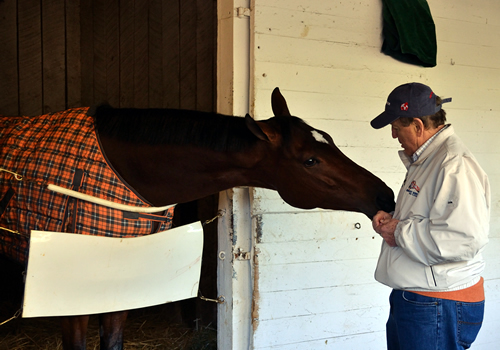 Havre de Grace gets a mint from owner Rick Porter. Breeders’ Cup Juvenile favorite Union Rags, out to graze. Game on Dude exits the track after galloping. 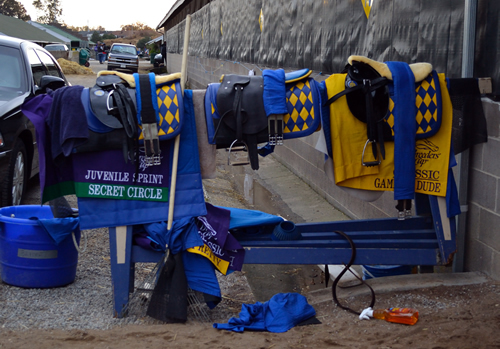 Outside Bob Baffert’s Churchill Downs barn. And for a little fun! The Breeders’ Cup Classic contender cartoons. Great images, see you soon.